I was told that the weather would improve, but that morning on the short ferry ride from Rossaveal to Inishmore it was cold, grey and wet. Very wet. 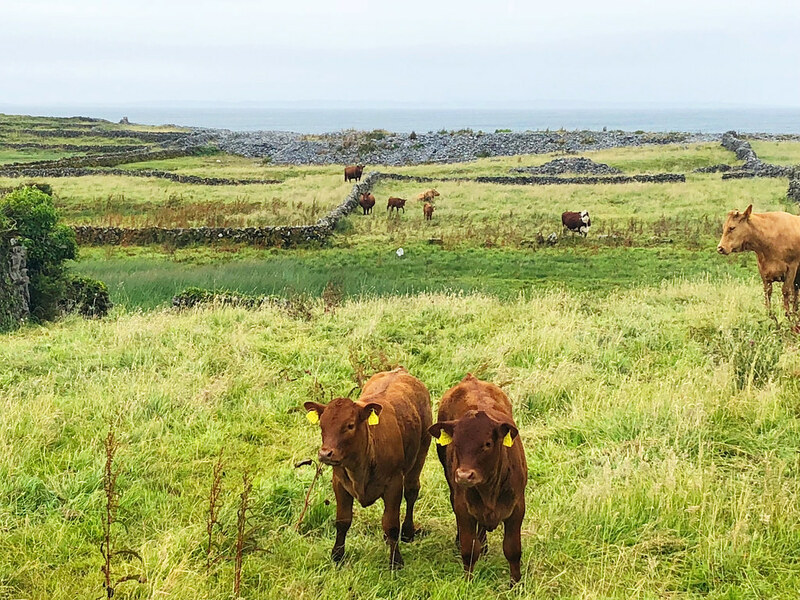 Ireland is green though for a reason, and you shouldn’t visit unless you can deal with a little rain, especially when visiting one of Ireland’s remarkable Aran Islands. Before my last trip to Ireland I had never heard of these small islands off the coast of Galway, but that oversight was quickly corrected when I visited the largest of the islands, Inishmore. A popular day trip destination, I was excited to spend a couple of days exploring this ancient place, learning more about its people and culture and to admire some of the best coastal landscapes in the country. 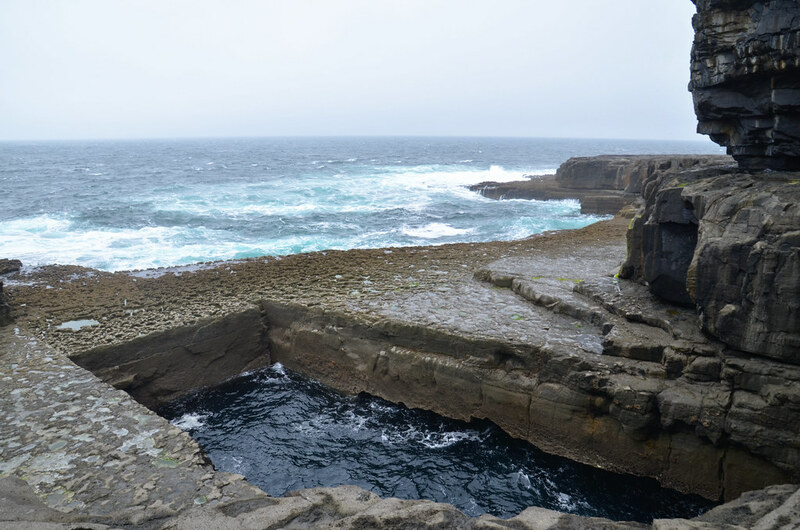 Since it is such a popular destination, today I want to share what to see and do on Inishmore and why I think every visitor to Ireland should include it on their trip itinerary. The Aran Islands are a group of three islands located in Galway Bay on the west coast of Ireland. Largely isolated throughout the centuries, their remote location has defined culture on the islands even up to today. Early Christian monks sought out the islands for that very reason, finding a quiet place removed from the world where they could pray and worship in peace. Today the islands are famous for their adherence to not only traditional Irish culture and lifestyle, but also language. Irish Gaelic is the principal language, although naturally English is spoken as well. 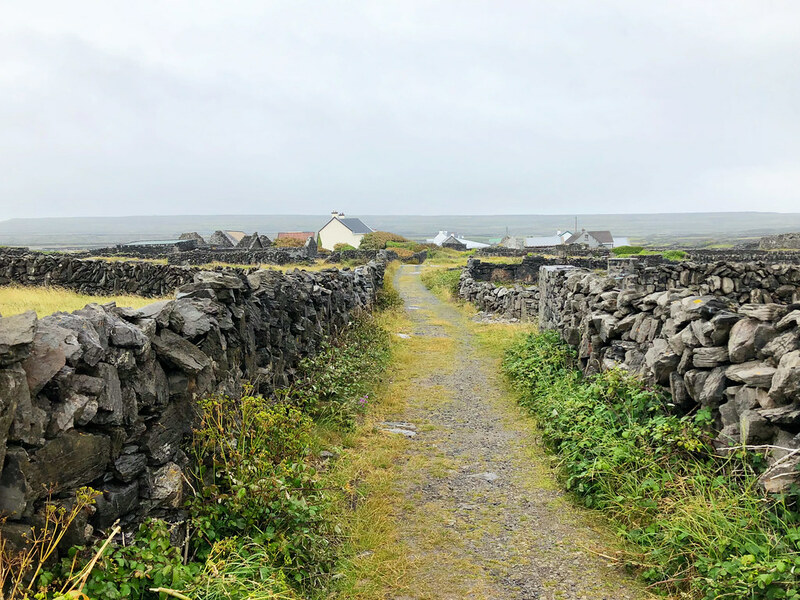 Students from around the country spend a semester or two on the Aran Islands if they want to improve their own language skills, guaranteeing that this almost lost tongue will continue well into the future. Getting there isn’t as difficult as I had imagined. There are a couple of different ferry choices depending from where in Ireland you’re leaving. I was in Galway, so I took the 45-minute ferry ride from Rossaveal. The ferries run several times a day depending on the season and you can even leave in the morning and return in the evening, which is how most tourists visit. There are three islands, but Inishmore is the largest and most visited and also has the most robust infrastructure for tourists. That being said, it’s a small place so the few B&Bs and hostels typically fill up fast, especially during the busy summer months. The ferries are passenger only – no cars – but once you get to Inishmore it’s easy enough to get around either through a tour guide, group tour or rented bikes. Inishmore is not a large place. Home to a scant 900 or so year-round residents, the main village is just that, a village. They have though quickly adapted themselves to tourism, offering a few different places to spend the night. There aren’t many though so, if you want to overnight there, be sure to book as far in advance as possible. I stayed at the relaxing Pierhouse B&B, literally a few steps from the ferry dock and as well located as any property on the island. Met by kind and gracious owners who immediately offered me coffee and cookies, although my time there was brief, it was perfect in every way. Kind staff, comfortable rooms and a breakfast large enough to keep you going all day make this one of the best places to stay on the island. Just as places to sleep are limited, so are restaurants for dinner, but what is on the island is excellent. 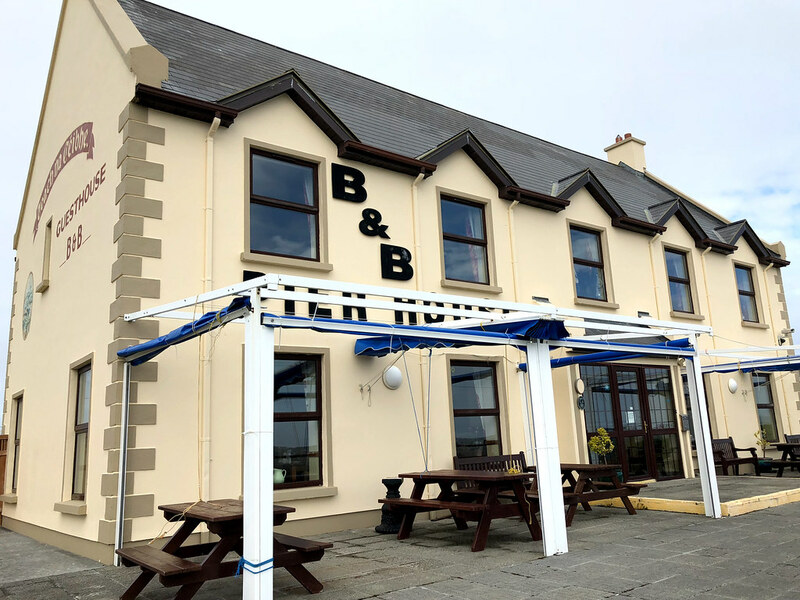 I dined at what is arguably the best restaurant on Inishmore, the Bayview Restaurant. Featuring refined but comfortable décor, this restaurant in an old waterfront home features amazing views and delicious food. Highlighting local producers, the menu shares where most of the main items are sourced, connecting the diner to the island and nearby region. It was the perfect way to end a fun day exploring the best the island has to offer and my top pick when it comes time to enjoy a relaxing evening. There’s a reason why thousands of tourists visit Inishmore every week during the high season – it’s amazing. 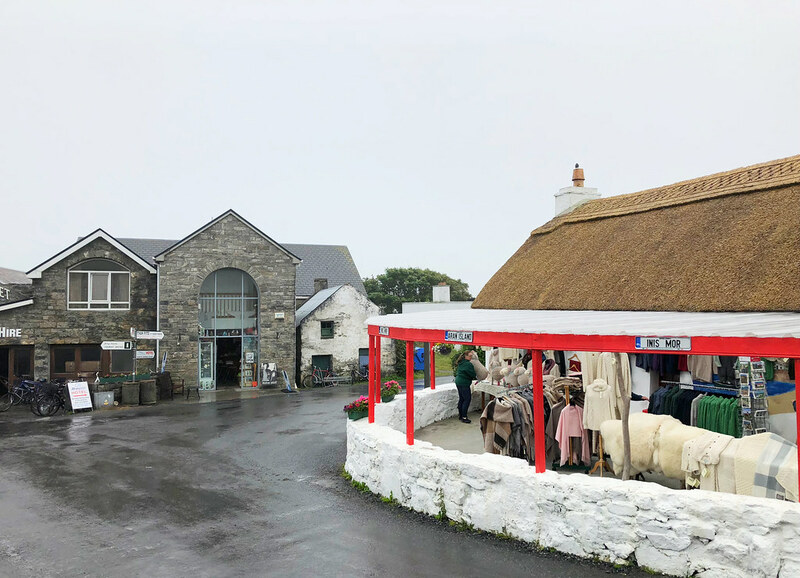 Due to its location and history, Inishmore remains a destination that honors its past in a way that is almost unique in Ireland. This is experienced through language and culture, but also the preserved thatched roof homes and ancient stone walled farms dotting the island. I spent the day with local tour guide Cyril o Flaherty who promised to show me the best of the island. Cyril’s family has lived on Inishmore for as long as anyone can remember, and his love of the island and the people who call it home is worn proudly on his sleeve. 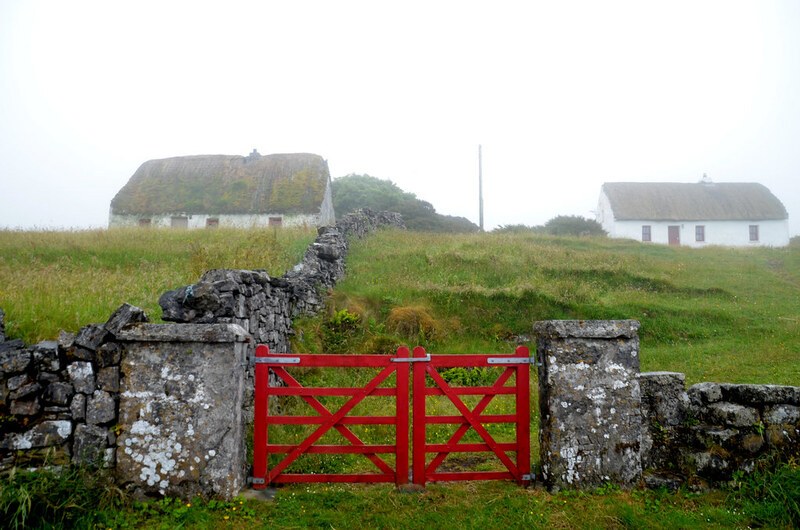 We experienced a lot on our day roaming the island, but these sights are I think the most important on Inishmore. The first place Cyril picked was this ancient church high on a hill overlooking the nearby village and coast. 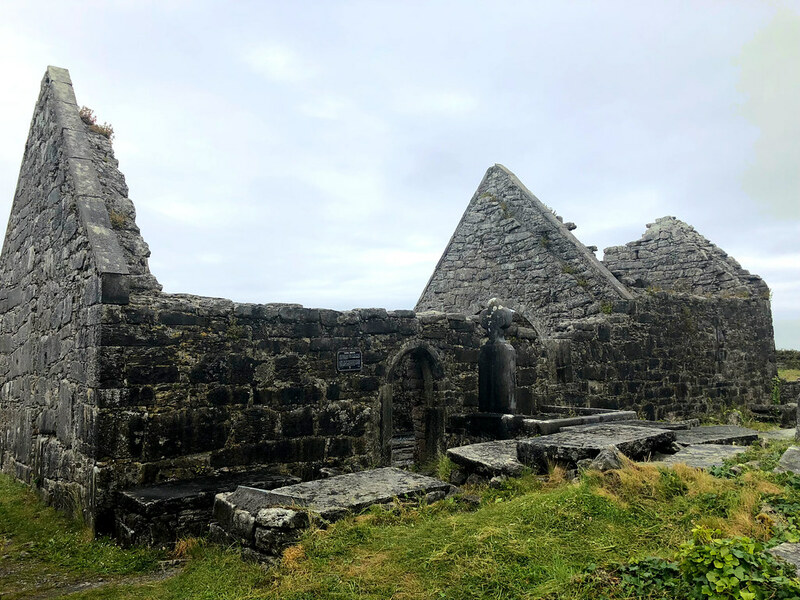 Dating back to the 7th century, it was part of a much larger complex and offers proof as to how important Inishmore was to early Christian monks. Reputedly the smallest church in Ireland, on a clear day the views are well worth the short hike up to visit. This strange feature of the cliffside is a natural rectangular-shaped pool into which the sea ebbs and flows. The walk there can be tricky, so be careful and go at your own risk, but it’s definitely a sight that’s not to be missed. It’s actually been made famous in recent years due to its role in the Red Bull Cliff Diving Championship, although don’t try your own jump in this often-treacherous coastal hotspot. While not novel for most Irish people, as an American I found myself constantly drawn to the many small farms dotting Inishmore. With plots of land that go back for centuries, the thatched cottages and stone walls offer a clue not only to the age of the settlements here, but the degree to which locals have tried to maintain their unique way of life. This is one of the more popular remnants of the old fort system that existed around the island to protect against would-be invaders. While the ruins are fine, I was immediately drawn to the beauty of the cliffs surrounding the fort. Although the skies were grey for most of the day, the clouds parted as we approached and I was lucky enough to enjoy some blue sky as backdrop for some of the most impressive coastal views I’ve ever seen. 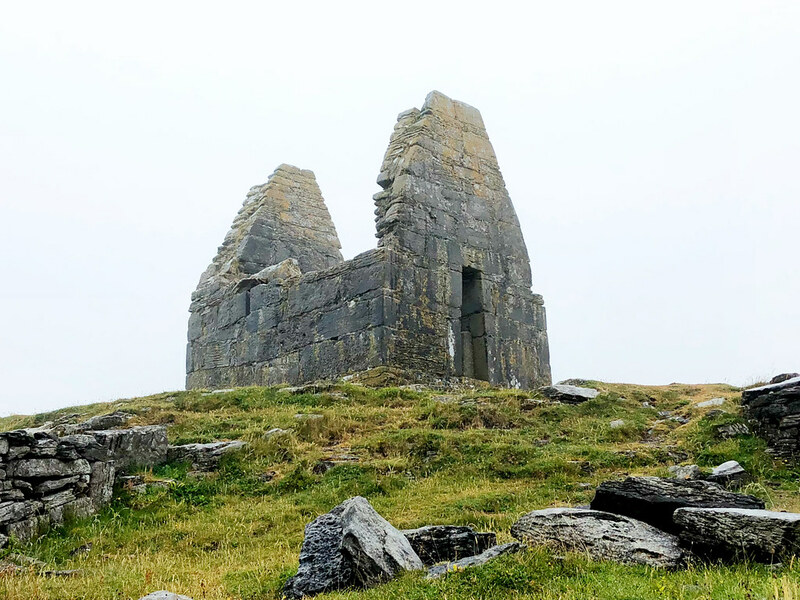 Although today it’s little more than a series of ruins and arches, the site of the Seven Churches was at one time the most important monastic centers of pilgrimage along the west coast of Ireland. In reality, there are only two churches, but visiting is a must for any visitor to Inishmore. The history of the island is ancient and prominent, making it an important aspect of any trip. The main town on Inishmore, this is where all visitors first arrive from the ferry docks. It’s small, no doubt there, but there are a few places to spend the night, to enjoy a meal and of course patronize those ever-present woolen mill shops. It’s a cute place and I particularly enjoyed spending time there in the evening, after the last of the day trippers from the mainland had left. It was then when I could join locals in the pub, or just take a short stroll in a beautiful spot that had suddenly gone silent. Although my time in the Aran Islands was all too brief, it was the highlight of my most recent trip to Ireland. I love visiting small, remote islands, to enjoy both unique cultures as well as gorgeous landscapes. Inishmore is one of the most impressive I’ve seen around the world and instead of satiating my curiosity, my first visit has only fueled a strong desire to return and explore even more.